Formado em 2005, o Tehilim Celtic Rock é uma banda brasileira que faz uma mistura interessante entre rock, a música celta e o folk. A banda é liderada por César Ricky Mendes, que tem em sua esposa, Jackie M. Mendes, o principal apoio para essa empreitada. A banda tem os CDs "Celtic Inspirational Rock", "Grace" e "Shine in the Darkness". Atualmente, estão lançando seu 4º CD - "Back to the New". 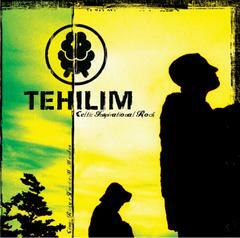 Formed in 2005, the Tehilim Celtic Rock is a Brazilian band that makes an interesting mix between rock, folk and Celtic music. The band is headed by César Ricky Mendes, who has his wife, Jackie M. Mendes, The principal support for this work. The band has the CDs "Celtic Inspirational Rock," "Grace" and "Shine in the Darkness." Currently, are launching their 4th CD - "Back to the New."